Ever wondered how monks pray, or what the day of a sister is like? 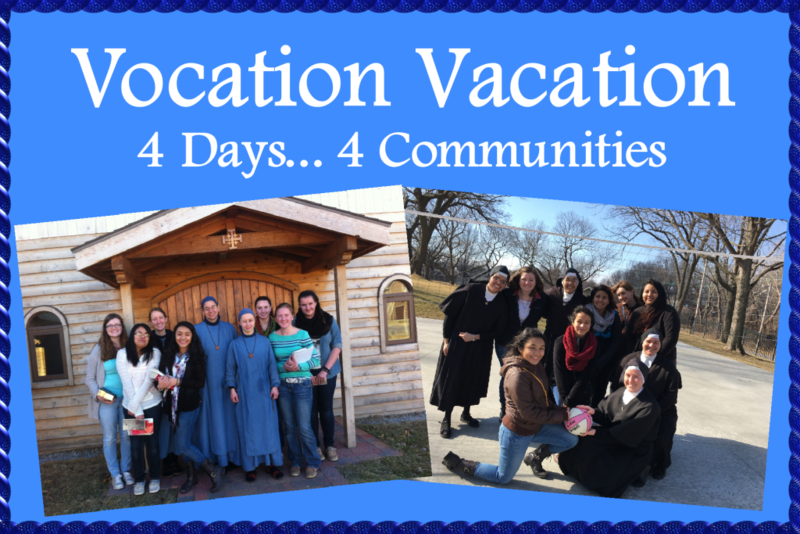 Vocation Vacation is open to all high school students - from those who are just curious to those discerning religious life. There will be parallel but separate trips for girls and guys. Cayleigh Heron will lead the girls trip to visit 4 convents in the Kansas City area, like the Sister Servants of Mary and the Little Sisters of the Lamb. The guys will be led by Fr. Scott Wallisch to visit the Benedictine monks, Franciscans, etc. Our next Vocation Vacation will be announced soon!